After joining #TheSustainableDiner forum organized by WWF-Philippines, I concluded one of the best ways to help their project is to promote local food and slow food on my blog and vlog. 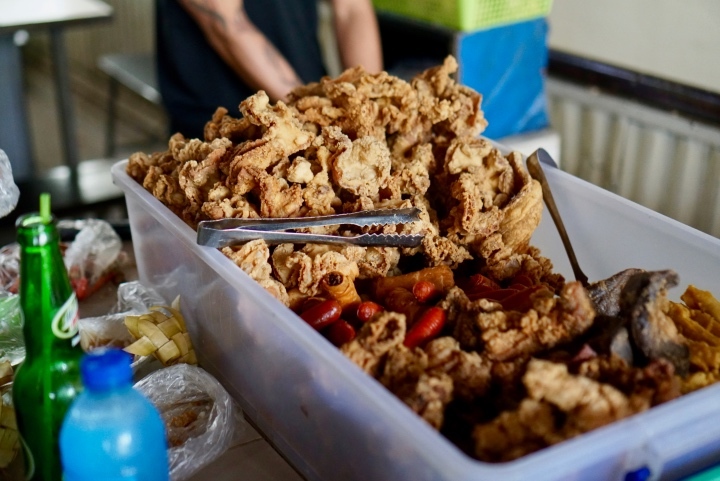 I have always been a fan of local delicacies since I grew up in the province during the time when fast food was not yet popular. I am actually a bit sad that many local food bloggers mostly write about fancy stuff and trendy restaurants. In some ways, I was guilty of the same practice. 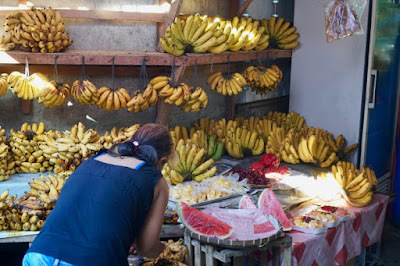 I realized that it is time for some changes in my blog and I think one of the biggest causes that I will support will be promoting local food. 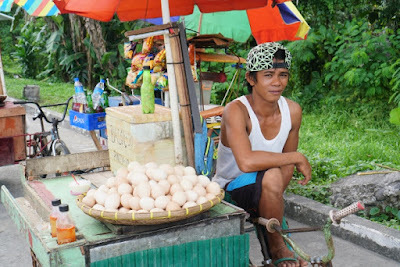 The people selling local delicacies like balut get eggs from local farmers. Their children go to local schools. Their money is spent mostly in the community. The vendors buy cellphone load and even eat at local eateries or buy ingredients at the local market. In economics, it is called the multiplier effect where many people benefit from a single spending transaction. 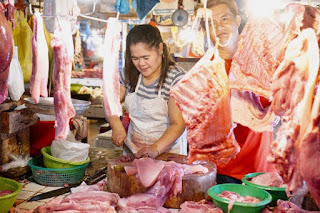 So when you eat at a local carenderia, you are not helping just the carenderia owner but also the farmers, hog raisers, poultry raisers, market vendors, and much more. 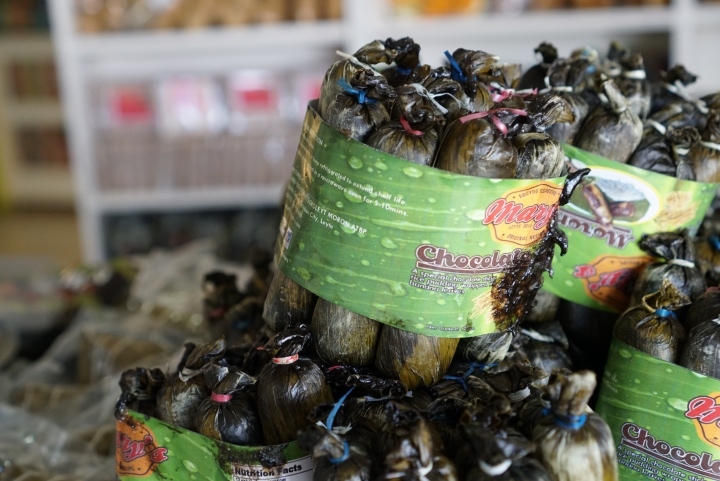 Local food travels a lesser distance compared to imported food. It has less carbon footprint and by buying local, we encourage more farmers and local investors to convert the idle lands into farms. When you eat local, in a way, you are promoting cleaner air because local food would not need so much fuel to travel from the farm to your tummy. Nutritional value of raw food decreases over time. Imported fruits/vegetables travel several days before it is displayed at the grocery. Local food in the meantime is not only more nutritious but also more delicious because it is harvested at the perfect time. That is why the mangoes that you buy at the local market tastes heavenly because its ripeness is perfect. Our leaders love to invite tourists and we are touting our country as one of the best tourist destinations in the world. We have so many beautiful places to go to yet, we still lag behind many of our Southeast Asian neighbors when it comes tourist arrivals. One way to promote our country or locality to other people is to promote our local food. Not all humans go to the beach every day or climb mountains every morning but all of us eat at least once a day. It is a no-brainer that we need to entice tourists with good food. So instead of promoting a Korean noodle brand on YouTube, why not promote your own local food. 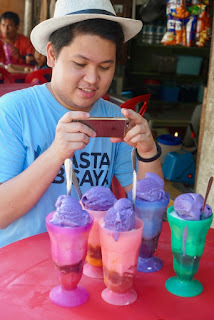 If you are a millennial and you are so concerned about how posting about local food can ruin your Instagram or Facebook game then you do not have to worry since local food normally gets tons of likes and comments. Try it out! These are just 5 good reasons to promote local food in social media and I think there are hundreds of other reasons to do it. I will be spearheading a campaign and I will be posting a lot of local food on my Facebook page and Instagram account. I hope many of you will follow suit because the best ones who can promote local food are the locals themselves. Post away, guys! I am using hashtags #EatLocalPH and #TheSustainableDiner in this Kalami Cebu campaign and I hope you use it too. With this advocacy, I would also probably use Amor Maclang's #MahalinPagkaingAtin hashtag. Let's do our part and promote local food! This is the second blog post on my sustainable diner series and there will be more soon. Feel free to comment about your thoughts on this topic and you may also send me an email at calolano911@gmail.com. If there is a YouTube or Facebook video series that I would like to watch, it would be Buzzfeed's Worth It. It is so much fun watching Steven, Andrew, and Adam go to different restaurants trying out super expensive dishes then comparing it with a cheaper alternative. My fellow content creators Glenn Abucay and Ramzy Magbitang are also big fans of the show. One day, we decided to make our own version of Worth It and we call it Sulit Ba? In this first episode, we checked out 3 different places that offer ice cream and we each picked which one is the most "sulit" or worth it among the three. Get ready to immerse yourself in a new kind of adventure as Worldbex Services International – the country’s leading events management company – officially opened the doors to the 9th Cebu Food and Beverages Expo (CEFBEX)! Happening until October 15, from 10am to 8pm, CEFBEX 2017 offers FREE admissions for everyone. 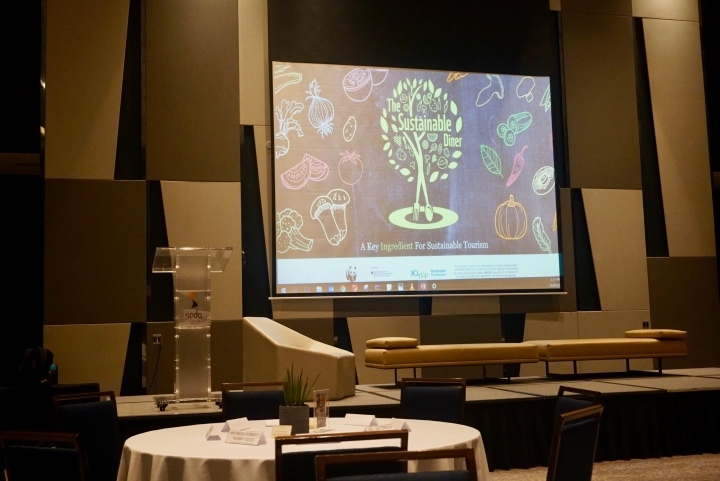 A couple of weeks ago, I was one of the foodies invited by the World Wide Fund for Nature (WWF) Philippines to be part of the Sustainable Dining Forum. The aim of the forum was to raise awareness on mindful production and consumption of food. I realized that as a consumer and a blogger, I can do my part in helping the program achieve its goals. I am now writing a series of blog posts promoting #TheSustainableDiner program because I believe that it is a worthy cause to support. 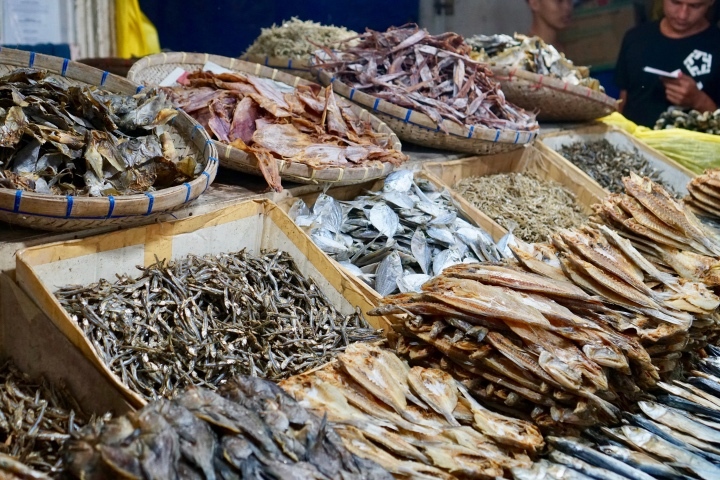 For the first post of the series, I will give a few reasons why I will not do the Spicy Noodle Challenge and how it relates to the WWF-Philippines Sustainable Dining Program. The Christmas season is around the corner. It means that the season of gift-giving is just a few weeks away. Wines are pretty popular gifts to clients, bosses, and close friends. It is always a good idea to give out wines because wines have a long shelf life and it is an amazing drink for the holidays. So, here are my wine suggestions for this Christmas.